The two days of seminars and networking of the recent PACA Congress held in New York the 20th and 21st of October were active with noticeably more attendants than the previous year, at a total of 220 delegates. Although age fotostock staff Julieanne Eason, Content Manager, Head of sales age fotostock USA Susan Jones and CEO Alfonso Gutierrez were mostly busy with meeting current and potential partners, the sessions that we were able to attend had large attentive audiences due to the very interesting topics discussed. “Buyer´s Panel; Fresh Perspective” handled by Daniella Nilva (Ogilvy & Mather), Greg Odom (Chemayeff & Geismar & Haviv), Mark Meyer (Moving Image & Content) and Kaia Hemming (MacCann) the speakers sent a message of hope for us stock agencies dealing in traditional stock by defending Rights Managed (RM) as viable licensing model needed in the market. Although all accepted that RF and Microstock have their niche, the ability to control the history of the images and block them when exclusives are requested is invaluable with creative, high quality, original RM images. Good examples were given of embarrassing situations created when competing companies used the same image for marketing their products. “Driving Sales and Strengthening your Brand Through Social Media” with Tyler Graham – Author and Twitter Specialist, Sara Zucker from Nors Cormetics, Patric Lor from Disolve and Andrew Fingerman from PhotoShelter. Extracting this juicy session to just a few words, I would say that essentially Social Media requires persistence, analyzing your audience to strategically target your contents, to be present but do not suffocate your audience with a post a minute, and above all it is hard today to run a business without having a presence there. “Advancements in Image Capture”. 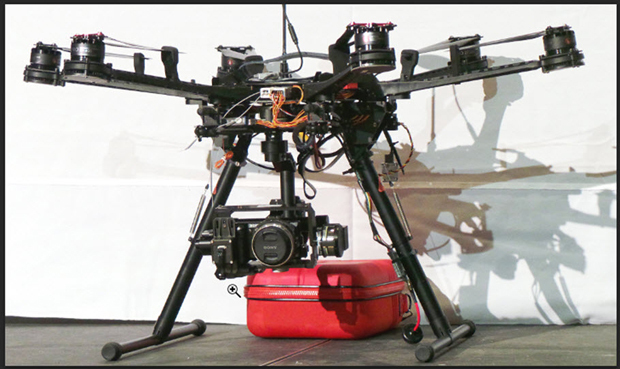 4K Video is becoming more popular, Smartphone photography is now commercially viable and DSLR cameras dual application of shooting stills and HD video is being challenged by a new generation of “pocket” mirrorless cameras, like the 4k SONY one that is carried by the Hexacopter in the image below, brought to the conference by SkyCamUSA. There were industry events most evenings. On the Monday night the PACA annual party was held at the Shutterstock Offices in the Empire State building. 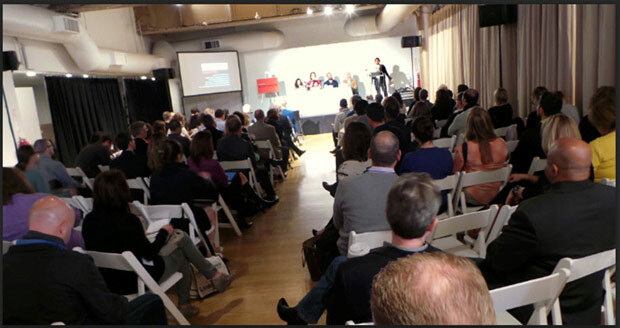 Click here to grin at photos of those who attended – see if you can spot our age fotostock team! 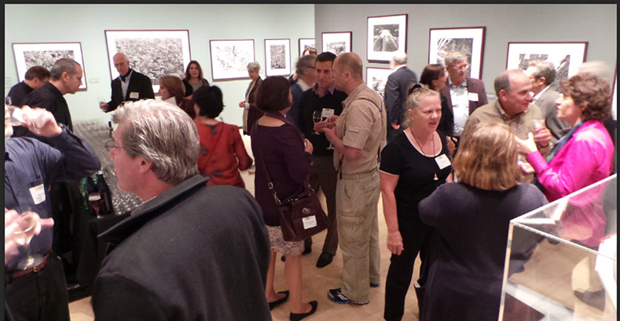 On the final day we had a great final PACA Networking Reception at the International Center of Photography (ICP), surrounded by the exhibition Genesis by photographer Sebastiao Slagado. An incredible collection of superb unique photography and a wonderful way to end a successful conference.